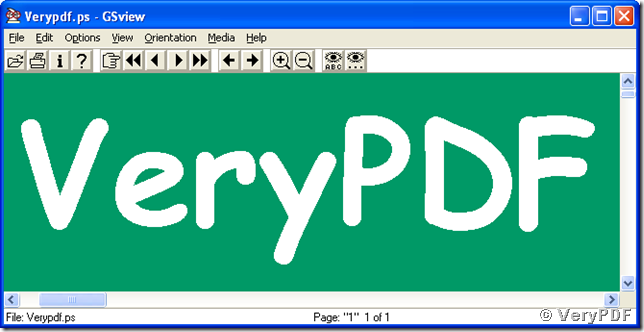 ← How to convert Excel to EPS? PostScript, PS, format, is a file format that contains controlling codes for displaying the elements of graphics, texts in the image file. Postscript image file is designed for maintaining the display behavior of the image on different devices. 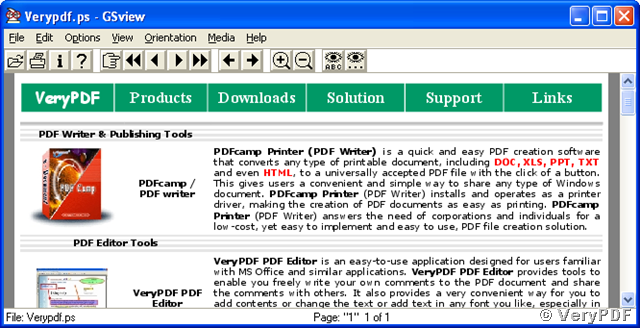 It is widely adopted by publishing houses, corporations, government agencies and printer device providers. 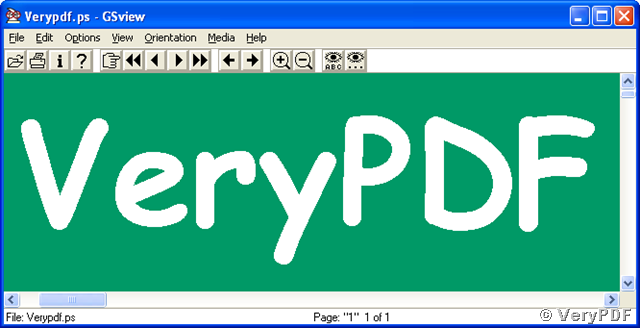 Because a postscript image file contains all the controlling codes to precisely restrict the display parameters, postscript format is friendly to those people who need to precisely present their graphics such as curve graphs, data scatter graphs, etc. Postscript format is also necessary for publishers who need high level of publication quality, such as sharpness, fixed layouts and precise type settings. So, sometimes an image in other format should be converted to postscript format for publication. 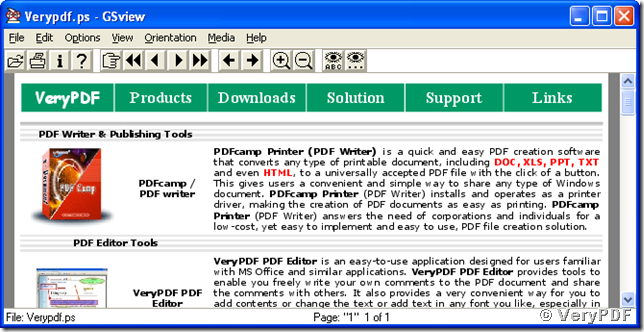 How to convert html to pcx format? This entry was posted in HTML Converter (htmltools) and tagged html converter, HTML to image, html to postscript, html to ps, html2image, html2postscript, html2ps, VeryPDF HTML Converter. Bookmark the permalink.